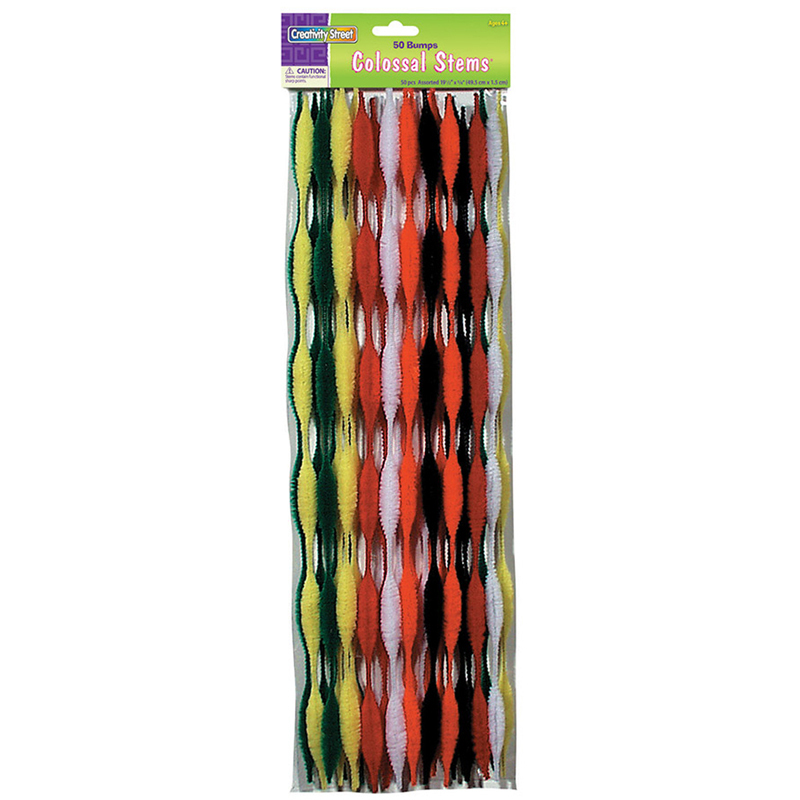 These super soft, super colossal stems are 18" in length and 1" in diameter. Bend and twist to create any shape, animal, or creature imaginable. Add beads, wiggle eyes, and other accessories to embellish your creations. 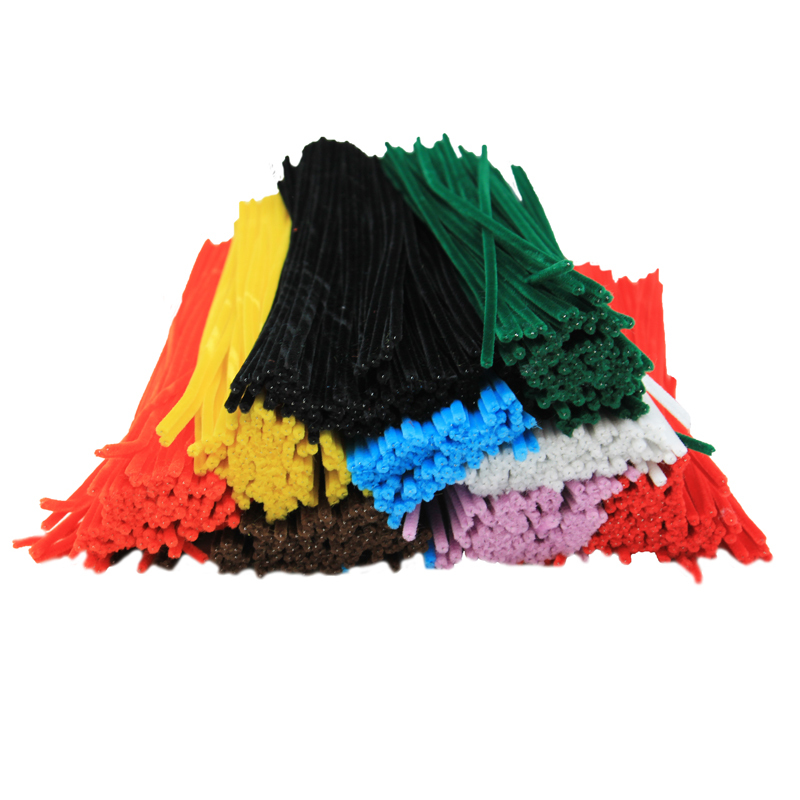 These stems are perfect for schools and parties. Each pack includes 12 stems. 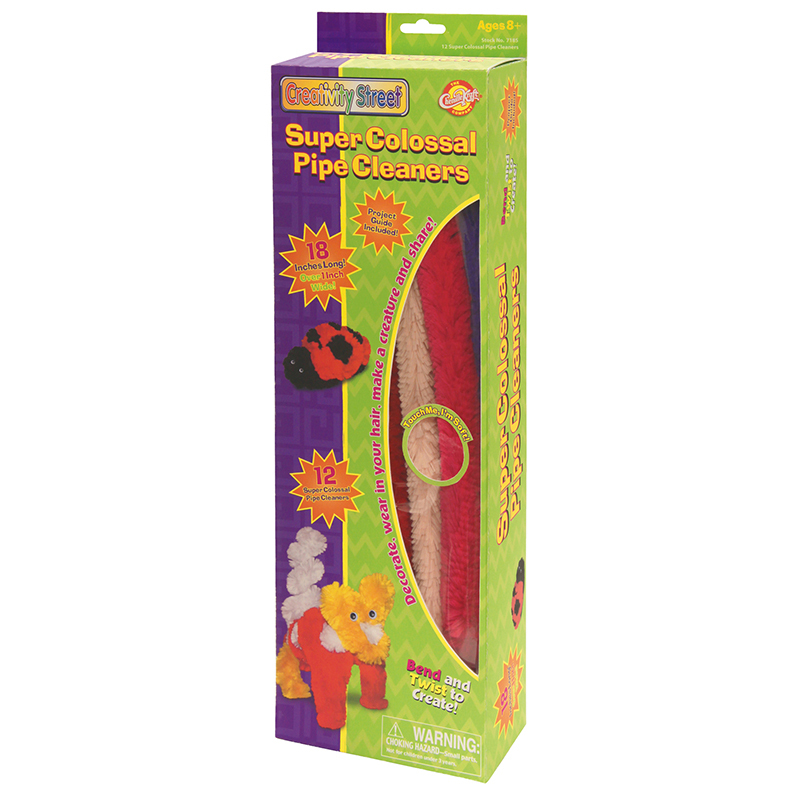 The Super Colossal Pipe Cleaners 12assorted can be found in our Chenille Stems product category within the Arts & Crafts. 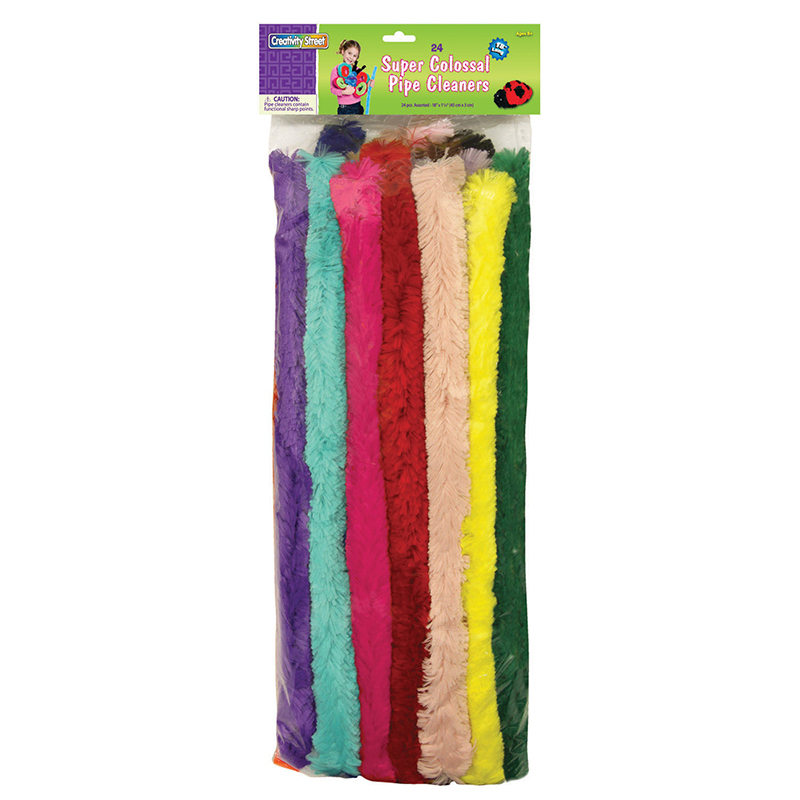 These super soft, super colossal stems are 18" in length and 1" in diameter. Bend and twist to create any shape, animal, or creature imaginable. Add beads, wiggle eyes, and other accessories to embellish your creations. These stems are perfect for schools and parties. 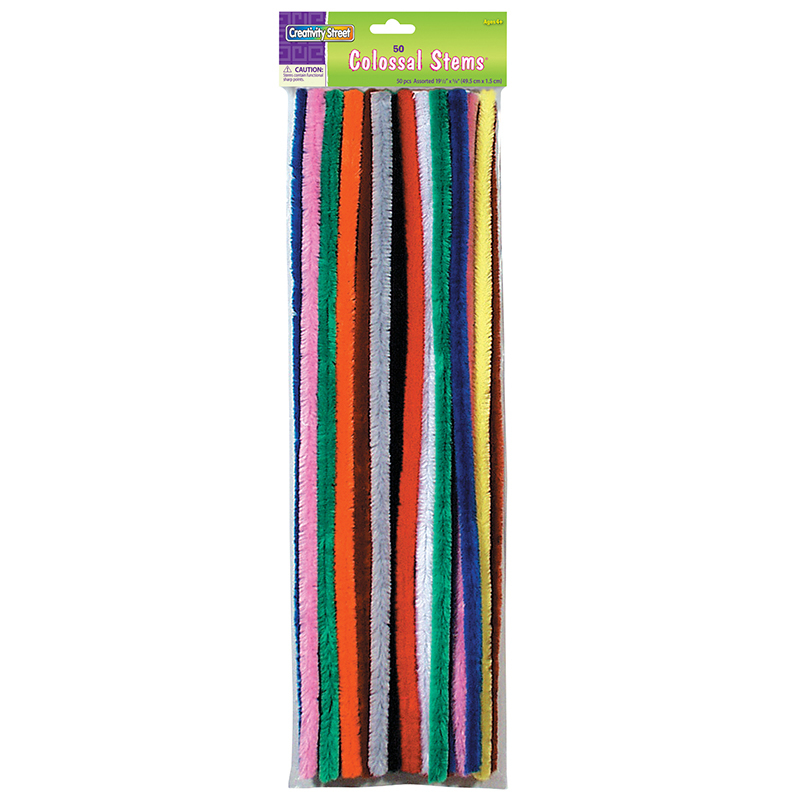 Each pack includes 24 stems.